While care should certainly be taken when buying an espresso machine for home use, there are some additional factors you need to consider when looking for a unit for commercial applications. First, let’s take a look at the variables that you should analyze when purchasing a commercial espresso machine. The Xelsis Evo is an espresso machine designed for multiple users and multiple beverages as it features a multi-user function that can store up to 6 different profiles. Each profile can have 9 beverage preferences stored for it, making it a great option for a business with an extended menu as the various beverages can be stored and you can be certain of consistent results every time. This espresso machine also comes with a smart adaptive system that allows for the optimization of grinding cycles making sure that regardless of the bean used, you will have perfect results every time. Furthermore, the ceramic grinders are made entirely of ceramics, which means consistent grinding results without the coffee overheating and leading to that terrible burnt taste that has ruined many a cup of espresso. The grinders can also be adjusted, allowing you to play with the flavor of the coffee. The 8 settings available will allow you to go from a really fine grind to get a full-bodied cup of coffee to the coarsest possible setting, which will result in a lighter coffee. These excellent grinders ensure the perfect cup of espresso every time, making even your most discerning customers happy. The dual, independent heating systems ensure that you will have fast and professional results every time, regardless of the number of cappuccinos and latte macchiatos you make. The machine is also extremely easy to clean as it features an auto-clean function. Thus, the unit will use water to clean out the coffee circuit when you start it up or switch it off, ensuring that you get an amazingly fresh flavor for each cup of coffee. Descaling is essential to extending the life of your espresso machine, and the Xelsis Evo will make sure you stay on top of it by prompting you when it needs to be descaled. The automated process will prompt you when you need to intervene and tell you exactly what you need to do. All in all, the Xelsis Evo is a great unit that makes an amazing cup of espresso. With the various automated functions and user profiles, it makes the life of any barista a lot easier. It doesn’t hurt that it’s also an attractive unit with a cutting-edge design and stainless steel finish. The Profitec Pro 700 is another unit with two boilers, one at 0.75 liters used for brewing and a 2 liter one meant for steaming. The boilers have been bolted to the frame but also feature thermal insulation. However, they’re quite easy to remove for servicing and repair.The unit features a rotary pump and a robust RPM motor, which are responsible for brewing pressure but have also been designed to keep the noise to a minimum. The machine can also be connected to a water line directly, or you can use the special water reservoir. The brew group is made from solid brass that has been plated with chrome. It has a thermosyphon system attached to it that maintains a constant temperature, ensuring excellent results every time. A great feature the Profitec Pro 700 comes with is the dual boiler PID display, which shows the temperatures in the brewing and steaming boilers. These temperatures can also be adjusted, giving you maximum control over the end result. The ECM PROFI IV Espresso Machine combines elements of old-school design with clean, modern lines and a shiny metallic finish to create a truly inspired unit from an aesthetic point of view. The tailor-made group head, the stainless steel housing, and the front mounted pressure gauges all work together to create a stunning unit. However, that’s not the most impressive part of this machine. What’s really going to get your attention is what’s “under the hood”, as it were. This espresso machine uses the best of the best when it comes to its internal components, resulting in a top quality and extremely robust unit that will stand the test of time and of your most discerning customers. This is one machine that will make the perfect cup of espresso every time. This espresso machine comes with a single stainless steel boiler at 2.1 liters with a heat exchanger, but there is also an option for a 1.8-liter boiler without a heat exchanger. The heat exchanger will allow you to brew coffee and steam milk at the same time. The E61-style brewing group features a small lever that controls the extraction of the espresso. This unit can also be connected directly to a water line, which will make your life much easier. While not one of the fastest units on the market, the ECM Profi IV is definitely an excellent option if you’re looking for an attractive, quiet unit with a long lifespan. The Nuova Simonelli Musica espresso machine is a powerhouse packed with features that is both beautiful and functional. An excellent espresso machine with a full metal body and a polished chrome face, this unit comes with a wide array of amazing features such as automatic espresso dosing with electronic pre-infusion, a programmable hot water dispenser and more. Automatic espresso dosing allows you to program your favorite espresso sizes. The unit will then stop brewing as soon as the right quantity has been reached. This makes it much easier when training employees. And just to make sure that the sizes remain as programmed, you can lock anyone else out of the unit. The machine features buttons for a single cup, for two cups and for continuous brewing. The programmable hot water dispensing function allows you to brew tea and make Americano coffees using completely fresh hot water thanks to the special wand. All you have to do is press a button and the water will be redirected from the water tank to the cup, via the heat exchanger line, resulting in water that’s been flash heated right in front of you. The Nuova Simonelli Musica also features a Sirai pressure stat and a commercial boiler steam pressure gauge, allowing you to adjust brewing temperatures as desired. It is also an energy saving unit as it has been wrapped in insulation to minimize the level of heat that escapes. The Epoca Espresso Machine might not exactly be the top of the line in terms of commercial units available, but it comes close enough to make this list. Constructed from stainless steel, this is a unit that has not only been built to last but also add a little flair and style to any area it graces with its presence. It comes with a 3.9-liter, inbuilt water tank that allows for the brewing of up to 70 cups of coffee per hour, making it a reasonable choice for a mid-sized coffee shop serving a few hundred cups of coffee daily. It also features a 1700W boiler heating element that provides quality performance sure to please even the most discerning coffee enthusiast. Keep in mind, though, that it does weigh in at a hefty 88 lbs so it’s not something you will be moving around often. Generally speaking, though, if you’re in the market for a good espresso machine that makes a smooth, flavorful cup of espresso, you could definitely do worse than the Epoca Espresso Machine. The Jura 13637 Impressa XJ9 Professional Espresso Machine is a stunning piece of equipment that everyone is raving about and for good reason. You haven’t tasted an amazing cup of espresso until you’ve had one made with the Jura Impressa XJ9. This machine doesn’t just make a cup of espresso, it creates an espresso that is a symphony of flavors which will elevate your taste buds to a completely new level. And since the perfect espresso is essential to creating a range of other drinks, like the ever-popular latte macchiato and cappuccino, you can be certain they’ll be just as mind blowing. Coupled with its amazing capacity to create the perfect cup of espresso, the Jura also features a stunning design thanks to it’s sleek and clean lines, the beautiful silver finish and the chrome-plated bean container. This is definitely one luxurious espresso machine. 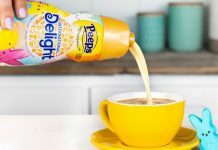 The unit also comes with a full-color (TFT), 5-inch color display where you can see information on the beverage choice you’ve made and much more. The 4-liter water tank along with the 500-gram bean container make this a good unit for a mid- to large-size coffee shop, though even a smaller business could attract a lot more customers thanks to the great espresso this unit brews. The Jura Impressa XJ9 is a machine for the espresso enthusiast. It will create an outstanding cup of espresso every time and your customers won’t be able to resist coming back for more. So, if you want your business to flourish, then the Jura is definitely the way to go. The Rocket Giotto Evoluzione V2 features a stunning design with sleek lines. Constructed from 304-grade stainless steel, this unit doesn’t just present a beautiful finish but has also been built to last. This is one sturdy espresso machine. This espresso machine includes the popular and proven thermosyphon system that allows for passive heat exchange and thanks to its well-designed layout, it ensures optimal results during extraction every single time. The 1.8-liter boiler has been manufactured from pure copper and features an end plate made from lead-free brass, ensuring it’s robustness. It is also nickel-plated to prevent copper oxidation, which could dramatically damage the taste of the coffee. Overall, the boiler has a full capacity of 2.9 liters and once water levels drop, the unit will notify you. The Rocket Giotto Evoluzione also features a 2-hole steam tip as well as a steam tip with 4 holes measuring at 0.9 mm, a double and a single 58-mm portafilter, no-burn, stainless steel hot water and steam wands as well as a fully insulated boiler to help save energy. The water tank is easily accessible and there’s also a removable cup guard. The unit also includes group and boiler pressure gauges, a resettable high limit Sirai pressure stat, a full control board and a rotary pump and motor. And if you find absolutely anything confusing about this unit, don’t worry because it comes with a DVD that teaches you exactly how to make an amazing cup of espresso using the Rocket Giotto Evoluzione V2. DeLonghi can always be trusted to create something that is as beautiful as it is functional, just like this espresso machine. It’s everything you want from an espresso maker in a compact, sleek and stunning package. Loaded with features and patented technology, you can be sure every beverage will be the best it can be. The DeLonghi Gran Dama Avant Espresso Machine allows you to easily make absolutely stunning cappuccinos, lattes, and macchiatos thanks to the “Single Touch” Delonghi proprietary hot milk system. All you have to do is put the milk canister on the front of the unit, put your cup into position, hit the button and you’re done. And that awesome clean button makes maintenance a snap. The milk canister is also detachable and can be stored in the fridge, so even if you don’t use all the milk, you can easily put it away to prevent waste. This espresso machine will also work with both ground coffee and whole beans. Of course, if you want the best possible results, you should start with whole beans and the DeLonghi proprietary system will take those beans, grind them to perfection right before brewing your coffee, leading to a cup of espresso that is pure, unadulterated heaven. 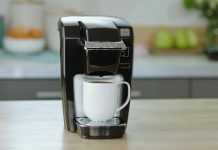 The unit also has options for 4 different cup sizes and 5 levels of coffee strength, allowing you to create the perfect beverage in terms of size and flavor for anyone. The DeLonghi Gran Dama also has a long coffee function, which replicates the taste of traditional drip coffee. Other features include a cup warmer, user-friendly touchscreen controls, and a removable drip tray. The DeLonghi Gran Dama is certainly an espresso machine that has been built to last. With this unit, you can supply your customers with amazing espresso-based beverages for a long, long time. The Quick Mill Andreja espresso machine is quite a stunner with its stainless steel build and clean, compact design that makes it an attractive addition to any business’ countertop. Featuring an E61-style brew group and an insulated boiler made from copper and coated with T.E.A. to significantly reduce the chances of metal deposits in drinks, along with a 52W Ulka vibratory pump, this is a machine that offers all the power you need to create flavorful, creamy espressos and smooth milk foam for all your cappuccino and latte beverages. The boiler and the pump operate concurrently, meaning that you can brew espresso and steam milk simultaneously, allowing for much faster production. No one will have to wait too long for their tasty beverage with the Quick Mill Andreja. The unit is built with 304-grade stainless steel, making it attractive but also durable, so you’ll be able to use it for a long time to keep your customer happy. This machine also features a vacuum breaker valve that will allow you to put the unit on a timer without worrying about vapor lock issues. Additionally, the drain plug is now located at the boiler’s bottom, meaning that it’s easy to access so you can drain the boiler without any issues if necessary. Other outstanding features include an additional magnetic sensor that lets you know when the water tank needs to be refilled, as well as the hi-limit function which can be reset and is designed to protect the heating element by preventing it from overheating. Overall, the Jura Impressa JX9 is the ultimate espresso machine. Not only does it feature an attractive design, but it’s a robust unit that brews an incomparable cup of espresso. The exquisite espresso this unit is capable of producing sets it heads above the competition. It also doesn’t hurt that you can create the ideal espresso, ristretto, cappuccino, latte macchiato and cafe creme just by pushing a button. Then there’s the 4-liter tank and the 500-gram bean container that make it perfect for heavy usage. Generally speaking, you aren’t going to be able to do better than the Jura Impressa JX9. It’ll brew some of the best beverages you’ve ever tasted and will help build your business by attracting more and more people who just have to get a taste of your awesome coffee. An essential factor is how much counter space you have available and how the work area is configured. You must make sure that the unit you buy is the right size and fits the space. Remember, that you need to fit in the coffee maker and grinder as well as having enough space to pour milk and use steam wands. Of course, you also need to make sure the espresso machine is close enough to a power supply. Another critical consideration is the number of coffees you expect to sell every day. 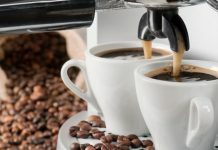 If you’re purchasing a commercial espresso machine for a small coffee shop with a few tables that only sees a few dozen customers a day, you’ll want to purchase a smaller machine that is designed to make up to fifty cups per day. On the other hand, if you’re buying for a large restaurant with hundreds of customers, then you might want to opt for a unit that is capable of producing two hundred cups or more per day. Espresso machines with a single boiler can either make coffee or steam milk, whereas a unit with twin boilers can perform both tasks simultaneously. Units with 2 separate boilers can keep water at different temperatures allowing them to steam milk and make coffee at the same time, as well as making coffee faster than single boiler units. You can get a semi-automatic or a fully automatic espresso machine. Semi-automatic units give you more control over the amount of water used in the extraction of the coffee and can be turned off manually. If you think that this might require too much effort on your part, you can always opt for a fully automatic machine. With the latter, you simply press a button and the unit takes care of the rest. Your budget is certainly an important consideration. Like with any product, if you buy a poor quality unit, your business will eventually suffer even if the initial investment is lower. A bad quality unit will make bad espresso and this will affect sales as your customers will go elsewhere to get their coffee. So, you should probably save elsewhere and get a really good espresso machine, especially if your business is focused on coffee.